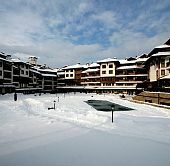 Supremely located just 100 meters from the Gondola ski lift, Bansko Royal Towers Hotel, is an absolutely ski-in ski out hotel in Bansko ski resort, Bulgaria, offering clean, comfortable and affordable apartments with all modern facilities and amenities. Royal Towers hotel in Bansko is situated right next to Glazne River and all of its apartments provide beautiful views towards the river or the snow-capped mountains of Bansko ski center. Furthermore, Bansko Royal Towers offer to all hotel guest a large spa area that includes 2 saunas, indoor heated swimming pool, children's pool, jacuzzi, steam bath, massage services and fitness center. 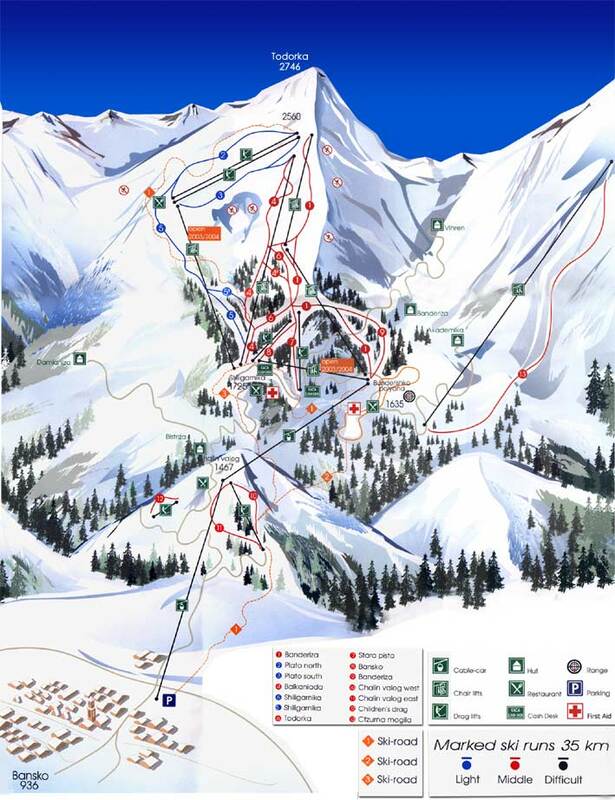 Bansko Royal Towers hotel also provides to hotel guests a secure parking lot for free of charge. The premium location of Bansko Royal Towers Hotel just a stone's throw away from the Gondola ski lift and just a short 10 minute walk from the historical centre of Bansko Town with the cosy bars and taverns plus its very competitive rates, makes it one of the best hotel options for accommodation in Bansko, Bulgaria! Unfortunately Royal Towers Hotel does not have any online availability for the dates of your stay. If you wish to request availability for these specific dates please call us on: +30 210 3235005 or submit the request form. Within 24 hours we will confirm to you if any availability has been found for Royal Towers Hotel.